More funky deer times, lol. 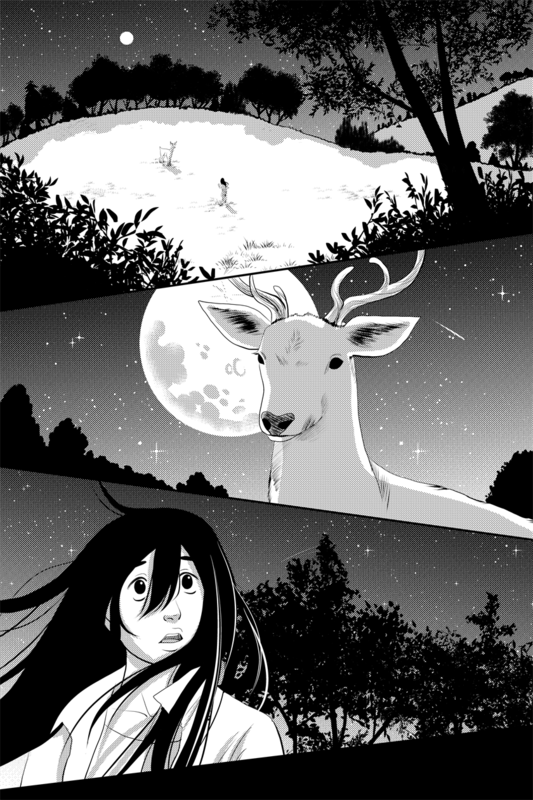 These past few pages have been the first time I’ve ever had need to draw deer, it certainly was a new experience. ^w^;; Anyway enjoy the page and don’t forget to vote! The deer and moon look amazing!